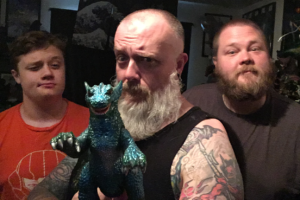 T’Igor, Kyle and Clancy speak of proper British monsters in this episode all about GORGO (1961). Welcome to jolly old England, where we’re covering the most famous British kaiju film, Gorgo (1961). Clancy and T’Igor joined me for this episode, despite the crazy heat we had here in Portland, to talk of all things a proper English kaiju would do. 9/8 – 9/10 ROSE CITY COMIC CON in Portland, OR w/Kaijucast awesomeness TBA soon! Hold onto your butts, ladies and gentlemen. 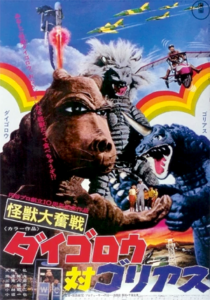 Next month, we are tackling one of the most bizarre kaiju films ever made. Run for your lives, next month we are watching Diagoro vs. Goliath (1972)! In order to take part in our episode, make sure to have your “homework” turned in by July 27th.